One important thing you can learn in life is "treat others how you want to be treated." This serves as such a great life lesson and it falls into the law of attraction as well; what goes around comes around. 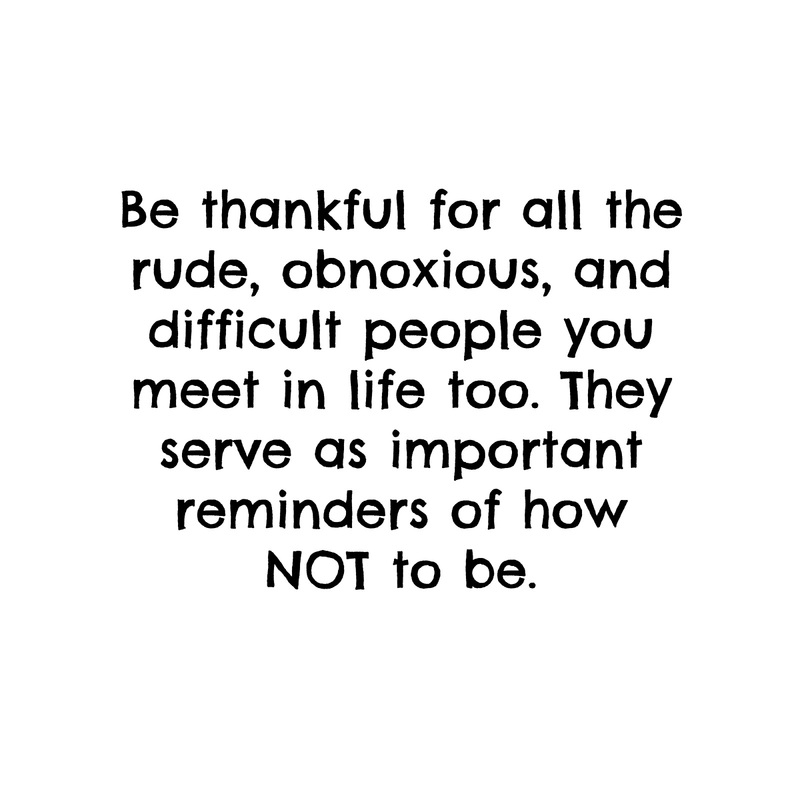 If you went about life being mean and rude, it will most likely come back to you. I've always been taught to be kind and nice to people, especially strangers because of the fact that you don't know what battles they may be going through. During the holidays it can be tough on some people. Some have lost, some don't have what you have, and some can be going through a lot, so I feel especially around this time is when we should be going around spreading kindness and positivity; not just for show but because a little bit can go a long way and you don't know how much a smile can mean to someone. Life at times can be difficult. You'll meet a rude customer at work, smile at a stranger on the street who doesn't smile back, or just talk to someone who's demeanor is on a different level than yours. But that's okay, don't take it personal, how they treat others is a direct reflection of how they see themselves. 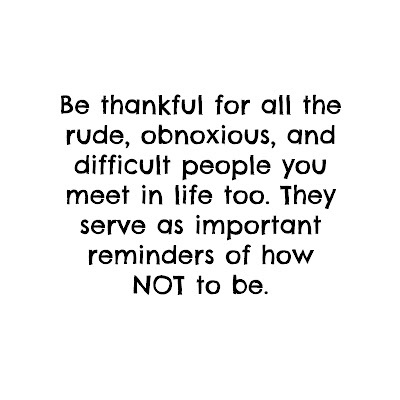 The mean people shouldn't make you mean or bitter. If anything, use that as fuel to make yourself a better person. Use it as a prime example of what to avoid as far as being a human being. This world honestly needs more nice people in it. Be kind not to get kindness in return but just to BE KIND. When you do if effortlessly, that's when it will come back to you. Not when you do it for something in return. Learn from others and their bad habits, and avoid their mannerisms. Be the person that you need in your life. We only have one reputation to make in our entire lifetime, so make sure you're remembered as a good one. You're kindness will bounce off of others and teach people how important it is to be nice. Show others peace and you'll start a domino effect. Be the change you wish to see in the world.